The farmers setup the group in response mainly to a situation where it was very difficult to source quality breeding sheep in substantial numbers to cater for local breeders, the sister mayo mule and grey face group and other lowland farmers around the country. 1. To work together with the common goal of producing quality breeding stock, both hoggets mature ewes and ewe lambs. 2. To promote the mayo blackface breed as a dam for producing crossbred replacements for lowland farmers to in turn produce lambs for the French market. 4. To work with processors both regionally and nationally to market both light and heavy lambs for group members to achieve maximum returns. 5. To work with the mayo mule and grey face group and the south mayo producer group creating synergies that will achieve more success. The group began with 45 members farming in the hill areas of Tourmakeady , Louisburgh , Newport, Ballycroy and Achill. 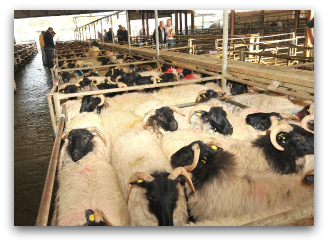 The first sale had a modest number of 800 sheep sold with premium prices received for better quality lots. The sale has grown in popularity over the last ten years, with quality and numbers growing . Members are very proud of the stock they present and the sale is now recognised as a significant hill breeding sale nationally. 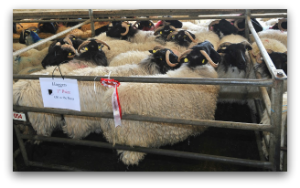 In 2009 the Mayo Connemara blackface ram society decided to hold their annual sale in Aurivo Ballinrobe in conjunction with the mayo blackface sale. This has led to increased cooperation and benefits for both sides. At the recent 2014 sale over 1800 breeding sheep were sold to customers from all around the country. The group has evolved steered by a dedicated committee to become one of the biggest producer groups in the area. The membership now totals 240 members, with increasing numbers joining following two successful years selling lambs to Kildare chilling. Mayo blackface group has led to the increased competition for wool in the western region and will continue to strive to achieve the best returns for its members retaining its independence and expecting high standards from members in terms of producing quality produce. 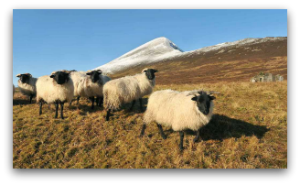 The group is working closely with agencies including Teagasc, Sheep Ireland and Aurivo, and the Mayo Connemara blackface society, to help develop and improve stock locally that will have long-term benefits for farmers and rural communities. The	latest	news,	views	and	reports	from	The Mayo Blackface Group. Visit this section for all the upcoming sales, shows and events. Information pertaining to the Blackface breed and its derivitives. The latest information relating to flock health issues. 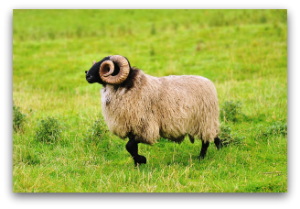 “Sheep Ireland” is the trading name of Sheep Database Ltd. 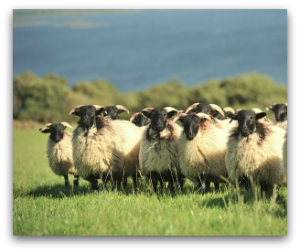 In 2008, Sheep Ireland, was formed after a period of extensive consultation with the sheep industry. 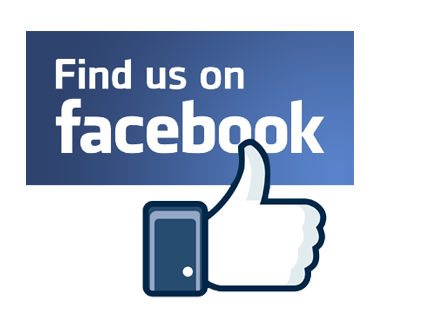 Follow Us on social media for all the latest news and updates. members of the Mayo Blackface Group..